Recently in Parliament, I raised the impending funding crisis currently facing Fife Gingerbread, an award winning family support service, with the First Minister. Fife Gingerbread are describing the funding crisis as a ‘perfect storm’. Unless they are able to secure additional funding, they will have to stop supporting two thirds of the families currently receiving support and also possibly lose over half of their workforce. I have therefore urged the First Minister and the Scottish Government to provide any support that they can to the organisation and the families that they work with, and encouraged them to work with Fife Council and relevant partners to try to quickly find a solution to the crisis facing the organisation. The funding crisis is due to a number of factors, including the end of project funding, and if we are to find a solution, all supporters need to work together. I recognise that Fife Gingerbread are not the only local charity facing significant funding problems as we face the consequences of budget cuts but they are on the brink of a contraction that will impact significantly on vulnerable families. I am pleased that in response to my parliamentary question, the Communities Secretary has agreed to engage with all involved and I remain in contact with Fife Gingerbread to help in any way that I can. I hope that a resolution is found quickly to enable their good work to continue. On Monday, BBC Scotland aired ‘Disclosure; dead in police custody’ revealing CCTV footage of the moments leading up to the death of Sheku Bayoh. I was interviewed as part of the show and I believe that the information that was revealed by Mark Daly raises serious questions that must be urgently answered. I recognise that the police do a difficult job but something went wrong that morning. Sheku’s death was entirely avoidable and serious questions have been raised about the proportionate nature of the police’s response, how deaths in custody are investigated and how families are treated when they lose a loved one. We cannot be complacent and I believe that there must be a public inquiry. You can watch the show on BBC iPlayer. Official figures show that the cost of private rented housing has soared across Mid Scotland and Fife as working people across Scotland have been faced with the average mean monthly rent increasing substantially since 2010. The figures from the Scottish Government shows that Forth Valley has seen the highest increases, up 10.6% for one bedroom properties, 19.5% for two bedrooms, 21.9% for three bedrooms and 33.9% for four bedrooms. Properties in Fife have seen a 9.1% increase for one bedroom, 18.1% for two, 17.1% for three and 26.6% for four bedrooms. Perth and Kinross have seen 8.6%, 8.7%, 11.7% and 15.8% increases respectively. 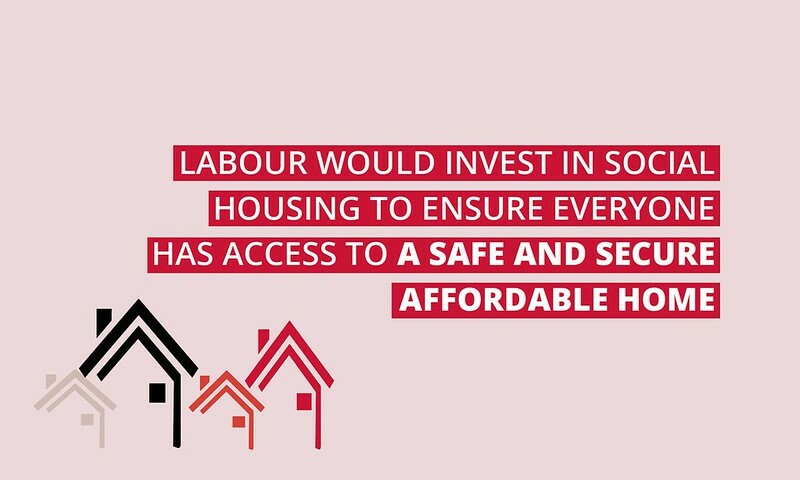 It is clear that a radical change is needed to end Scotland housing crisis and that is exactly what the next Scottish Labour government will deliver. It has been clear for some time that Fife is in the middle of a GP crisis. We have seen surgeries struggle to recruit full-time doctors to replace those that have retired or moved on. As a result, many practices are having to close their lists to new patients and we have seen the closure of out-of-hours services in Glenrothes, Dunfermline and St Andrews. That is why I have been trying to find the underlying cause of the crisis and find out just how bad it is, including raising the issue in Parliament and directly with the NHS. 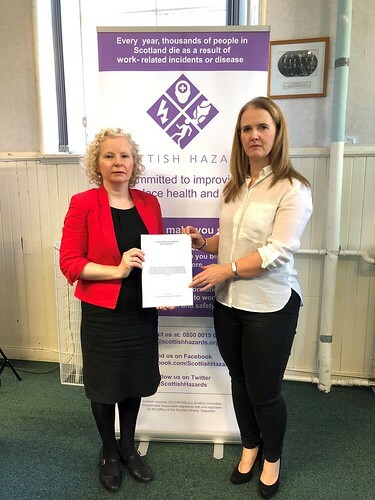 It is also the reason why I have spoken out as NHS Fife released a position statement on GP practices experiencing recruitment difficulties in Fife but marked the document as confidential. I am clear that politicians cannot be silenced from speaking out. Despite knowing how many full lists there are, how many surgeries have vacancies of longer than a year, in one case 2 years, we are gagged from speaking out. We have been told that one surgery is considered to be in a ‘high risk situation’ but I cannot name where. This is outrageous and damaging to relationships between the board, local politicians and patients. As a public body, NHS Fife should be as open and transparent as possible. Hiding statistics and figures behind a ‘confidential’ clause goes against this and there must be an immediate rethink. Following rumours of being side-lined after questioning the board, we have seen yet another high profile resignation with the Chair or the Health and Social Care Partnership leaving. As a result, senior members of NHS Fife are leaving at the rate of one every six months. Fife has a right to know what is happening in their NHS and they have a right to know what action is being taken to address this growing GP crisis. Politicians must no longer be silenced. Tomorrow I will use a speech in the Scottish Parliament to call for ScotRail to be stripped of its franchise agreement at the earliest opportunity and for it to be taken back into public ownership. The poor performance of ScotRail in Fife is one of the biggest complaints that I hear about in my role as an MSP. My inbox is regularly full of emails from frustrated commuters who are often faced with delays or cancellations to their trains. As a regular user of the service to get to Parliament during the week, I know only too well the misery faced by commuters every day. Action needs to be taken. Instead, we have the SNP Government doing a secret backroom deal with ScotRail that allows them to continually deliver late running services and not face any consequences. Giving ScotRail a licence to fail is not the answer. With ScotRail persistently to breach their contract, we must not be content to continually let them off the hook. Over a hundred peak time Fife Circle services heading to Edinburgh in the morning, and coming from Edinburgh in the evening, were cancelled between April and September this year. Services that were not cancelled often fell below ScotRail’s punctuality target which is when a train arrives within 5 minutes of its schedule time. This is not good enough. Fife deserves better and I will be putting your concerns directly to the Government tomorrow. On average, 17 people in Scotland die each year as result of an ‘industrial incident’. It is simply unacceptable to have workers dying because of negligence or recklessness by their employers. Far too many people in Scotland still do not return home to loved ones after going to work – this must change. That is why I have today lodged my proposal for a member’s bill on Culpable Homicide. I would like to thank Scottish Hazards for their support and allowing me to launch my consultation at their conference in Glasgow this morning. I want to thank Thompsons Solicitors and Unite the Union for their continued support as well. I especially want to thank Louise Taggart, whose brother Michael was killed at work in 2005 for joining me and telling her heart-breaking story. Louise’s story shows the real human cost behind our failure to take the action needed. 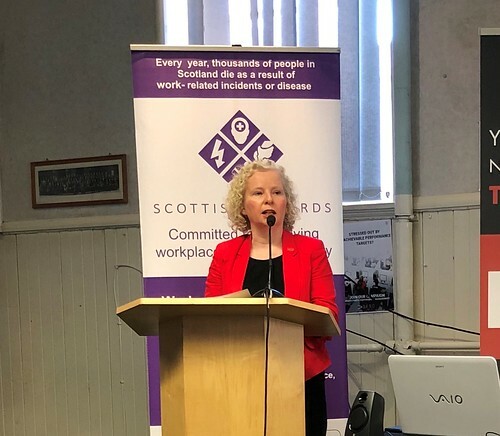 That is why I hope all political parties in the Scottish Parliament will join with myself and Louise to end the scandal of death and injury at work. I’ve called for the Scottish Government to use the break clause in ScotRail’s franchise agreement and bring the railway back into public ownership. Statistics released to me show that between April and September peak time services between Kirkcaldy, Cardenden and Edinburgh were cancelled 110 times. This figures only looked at services from Fife to Edinburgh in the morning, and return evening journeys, meaning the total figures for the Fife Circle could be much higher. It is no wonder that passengers are frustrated. Bearing in mind that ScotRail calculate a train being ‘on time’ as one that arrives up to 5 minutes late, the 17:02 Edinburgh to Dundee service, calling at Kirkcaldy, was only ‘on time’ in 55% of cases in June, and 56% of times in August and September. The 17:41 Edinburgh-Inverness train, calling at Kirkcaldy, was only ‘on time’ 54% of the time in June. 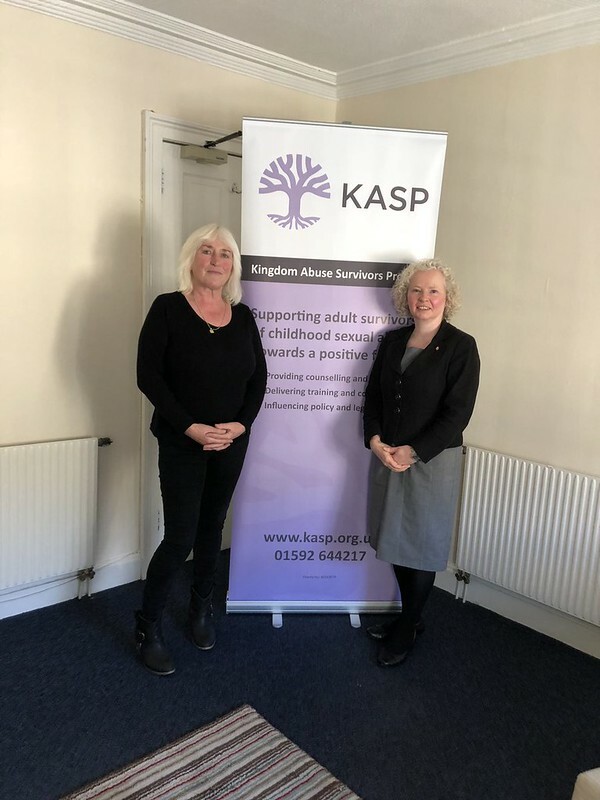 It was a pleasure to visit Kingdom Abuse Survivor Project to talk about the important work they do supporting people across Fife who are survivors of childhood sexual abuse. Since its formation in 1995, KASP have offered support to 3,548 people from across Fife, with 321 in contact in just the last year and 171 receiving continual support over the year. KASP offers vital face-to-face support and receive referrals from police, GPs, other organisations and self –referrals. Last week I asked the new Transport Secretary to meet with myself and local MSPs to make the united case for the re-introduction of the Levenmouth Rail Project. There is a clear cross-party consensus in Fife that the Levenmouth rail project should go ahead, and I hope that there is a similar consensus that it should be one of the Government’s next big infrastructure projects. The Government reshuffle before summer has seen the transport portfolio promoted from a Junior Minister position to one that is now in the Cabinet. It has also combined transport with infrastructure and we need to use this opportunity to make our case to the new Cabinet Secretary. With every passing year, the argument for the reintroduction of the Levenmouth rail link grows stronger. I hope my question is the beginning of a fruitful relationship with the new Cabinet Secretary. If we can convince him of the clear benefits of the rail link then we will be one step closer to its introduction. Goodwill will only get us so far, it is time that we see concrete action by the Scottish Government and Transport Scotland. Earlier this month I was delighted to celebrate the 20th anniversary of the Kinghorn Loch Ecology Centre at Kinghorn Loch by holding a debate in the Scottish Parliament. I was also pleased to meet with staff and volunteers prior to the debate, giving them a tour of Parliament and hosting them afterwards for a small reception. The Ecology Centre is a great example of an inclusive, community-led charity that aims to inspire positive change through connecting people and the environment. Over the years the site has developed and is now an impressive facility with many different projects engaging with local people of all ages, involving them in making positive change in their community.